If you’re not a fan of the Carolina Panthers or the Denver Broncos, what team do you root for if you even bother to watch Super Bowl 50? When it comes to football, Asian Americans must go deep into a team’s DNA to find a rooting interest. And my Filipino friends have discovered that Jordan Norwood of the Broncos is one-quarter Filipino! Let’s see if he plays at least a quarter. Norwood’s brother actually is a big time jock in the Philippine Basketball League in Manila, which is a lot cooler than your doctor from the U.S. who, because of bad grades in college, ended up in a medical school in Manila. On the Carolina side, coach Ron Rivera is also at least one-quarter Filipino based on his mom’s grandfather, an immigrant who worked the fields of Salinas. That’s according to Rivera’s wife Stephanie, who is Filipino American. 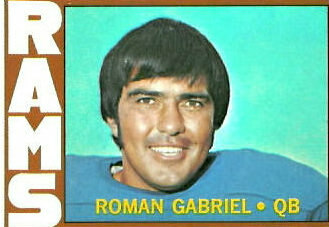 To top it off, Roman Gabriel, the first Asian American to play quarterback in the NFL, when he played for the Los Angeles Rams, and the MVP of the whole damn league in 1969, is a Carolina native son and was once part of the Carolina organization. Gabriel is the son of a Filipino immigrant. Just like me. Only at 6-foot-5, a bit taller. I would like to say I rooted for Gabriel as a kid, but I didn’t. I grew up in San Francisco, and we had the Forty Niners. They were as bad then as they are now. Gabriel played for the Rams, and in one game I recall in 1969, he scored a touchdown for a come from behind win. That year, Gabriel was NFL MVP. And he’s the reason I just don’t feel like watching Super Bowl 50. The game’s practically in my back orchard in California. But I’m not buying a ticket for the game where the ticket prices reached $292,505.25 for a suite or $26,915.25 in the semi-nose bleeds (the highest prices I saw when I checked on StubHub). I’m not even going to watch it on TV. Fortunately, I can still remember. Many players I used to root for can’t. I remember watching the very first Super Bowl back in 1967, before the game became the mega-corporate display of greed and barbarism in American society. My buddy Frankie Veracruz and I were at his house on 18th St. by Dolores Park in San Francisco. No one had Super Bowl parties back then. No one had TVs as big as their house. We just watched and rooted for Bart Starr and the Packers as they beat the Kansas City Chiefs, 35-10. They had a guy named Jim Taylor at running back. And another guy named Elijah Pitts. I always liked that name. I had to Google all that, such is my memory these days. You see, I actually played football. I didn’t play in the NFL, but I did play hard-hitting, full-contact football. Let the Kennedys play Touch. I played tackle. Starting from a young age from Pop Warner to high school. It was organized but still very primitive. And even with a helmet, it didn’t matter. Pound-for-pound, it’s still football. Either from direct hits to the head, or from falling and having your head naturally snap back with a slam to the ground, your brain gets rocked. Only in part. I write what I do from the heart. But after playing in unimportant youth league games up to high school, I had one career-ending concussion, where I blacked out for a second but never reported it–because tough guys kept on playing, right? And then I read stories like the one about Kenny Stabler this week, and it makes me cry. Stabler died last July at age 69. Now The New York Times and ESPN report Stabler had severe C.T.E. That stands for chronic traumatic encephalopathy, a degenerative brain disease caused by repeated blows to the head. Of course, last year, the official cause of death was colon cancer. But Stabler had seen what was happening to veteran players struggling with physical and mental disabilities. Before he ultimately passed, he consented to have his brain matter tested by scientists at Boston University. After months of testing, the results confirmed Stabler had Stage 3 C.T.E., a step below the highest stage. That’s what football does at the highest level. Forget about footballers at every level down the line. No one cares about them. And even at the pinnacle, no one cares what the game can do when you play it to win. You lose. Now Stabler’s name is on a list of more than 100 players similarly afflicted, some of whom are in the Pro Football Hall of Fame, like Mike Webster, Frank Gifford, and the first Polynesian-American Samoan player in the Hall of Fame, Junior Seau. It’s practically become the NFL’s Hall of Dementia. For me, the news on Stabler was the final blow. I know no one saw “Concussion” with Will Smith, the movie that told the tale of the doctor who blew the whistle on the NFL. The movie, which opened in December, ended January with just $35 million in box office. Compare that to “Star Wars,” now approaching $2 billion in box office. People don’t want to see the sad truth about its gladiators who pummel each other on the gridiron. They’d rather root and spend their cash. 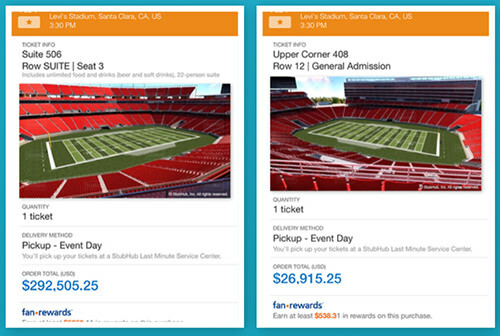 This year’s Super Bowl 50 is estimated to generate more than $15 billion in consumer spending. No one is willing to say no to football. But after seeing the effects of football on a generation of players, it’s clear that something’s got to change. Take the head out of the game. Remove the helmets and pads. Make it an aerial game. Just a few ideas. But would that satisfy the bloodlust of fans? People have pointed out I like boxing and have questioned my disdain for football. But boxing has changed some rules to make it less brutal. These days, compared to MMA, boxing is a tea party. The way Floyd Mayweather fights, it’s a hugfest. But boxing is also an anachronism and is nowhere close to what it was in the past. Football continues to grow, and now it is at a crossroads. This weekend, as far as I’m concerned, the game can come and go. If I watch it, it will be by accident. But I’m not Super Bowl partying. And I’m not reveling in the Super City B.S. being staged in San Francisco for a game being played an hour from the city. Don’t even mention the sexism and the league’s history with domestic violence against women. We’ll stay focused on what the game does to its players. 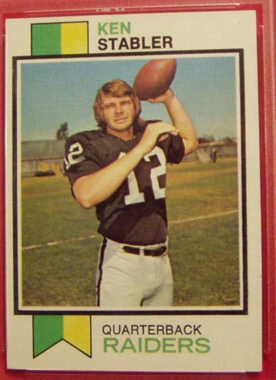 So this week, I’m rooting for my hero Ken Stabler’s election to the Pro Football Hall of Fame, where he’s on the ballot. The game has become so much a corporate spectacle that stories like Stabler’s remind us of that missing human element in the game. It’s an element that has purposefully been lost as the game has pursued the goal of achieving its status as the crass, heartless, business mega-enterprise it has become. The NFL has taken a simple game and made it a phenomenon, which, of course, must be protected at all costs. That’s why it’s heartbreaking to know Stabler’s circumstances. He’s part of a class action suit brought by the players against the NFL seeking damages from concussions. The suit was settled last year but is under appeal. Will Stabler’s family see any compensation? Because his C.T.E. was diagnosed after the April 2015 cutoff date, the answer is no. Fans need to throw the red flag at Big Football. Now.